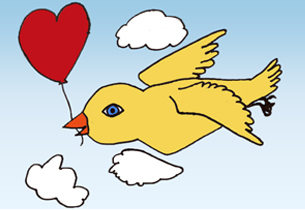 If you are new here, you will notice that almost everything on this website can be rated from 1 heart (least inspirational) to 10 hearts (most inspirational).The rating system is easy and fun to use, but you first need to register before you can participate so the system can recognize you when you come back. "Only the weak are cruel. Gentleness can only be expected from the strong." "Whatever you find hardest to do, do with all your heart." "The best thing to spend on your children is your time."